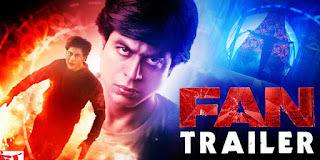 FAN is the story of Gaurav (Shah Rukh Khan) a young man, 20 something, whose world revolves around the mega movie star Aryan Khanna (Shah Rukh Khan) or God as he refers to him. When things don't go according to plan, Gaurav’s love and passion for his God turns in to a dangerous obsession that crosses the fine line. Watch an edge of the seat thriller, FAN which will peel away at both Gaurav and Aryan’s personalities and characters as the two men discover people within themselves that even they didn't know existed.